This is a list of element symbols and names that are placeholders for final names or else are no longer in use. This list does not include element symbols or names that remain in use regionally, such as aluminum/aluminium or iodine/jod. A - Argon (18) Current symbol is Ar. Ab - Alabamine (85) Discredited claim to discovery of astatine. Am - Alabamium (85) Discredited claim to discovery of astatine. An - Athenium (99) Proposed name for einsteinium. Ao - Ausonium (93) Discredited claim to discovery of neptunium. Az - Azote (7) Former name for nitrogen. Bv - Brevium (91) Former name for protactinium. Bz - Berzelium (59) Suggested name for praseodymium. Cb - Columbium (41) Former name of niobium. Cb - Columbium (95) Suggested name for americium. Ct - Centurium (100) Proposed name for fermium. Ct - Celtium (72) Former name of hafnium. Da - Danubium (43) Suggested name for technetium. Db - Dubnium (104) Proposed name for rutherfordium. The symbol and name were used for element 105. Eb - Ekaboron (21) Name given by Mendeleev to an as of then undiscovered element. When discovered, scandium closely matched the prediction. El - Ekaaluminium (31) Name given by Mendeleev to an as of then undiscovered element. When discovered, gallium closely matched the prediction. Em - Emanation (86) Also called radium emanation, the name was originally given by Friedrich Ernst Dorn in 1900. In 1923, this element officially became radon (the name given at one time to 222Rn, an isotope identified in the decay chain of radium). Em - Ekamangan (43) Name given by Mendeleev to an as of then undiscovered element. When discovered, technetium closely matched the prediction. Es - Ekasilicon (32) Name given by Mendeleev to an as of then undiscovered element. When discovered, germanium closely matched the prediction. Es - Esperium (94) Discredited claim to discovery of plutonium. Fa - Francium (87) Current symbol is Fr. Fr - Florentium (61) Discredited claim to discovery of promethium. Gl - Glucinium (4) Former name of beryllium. 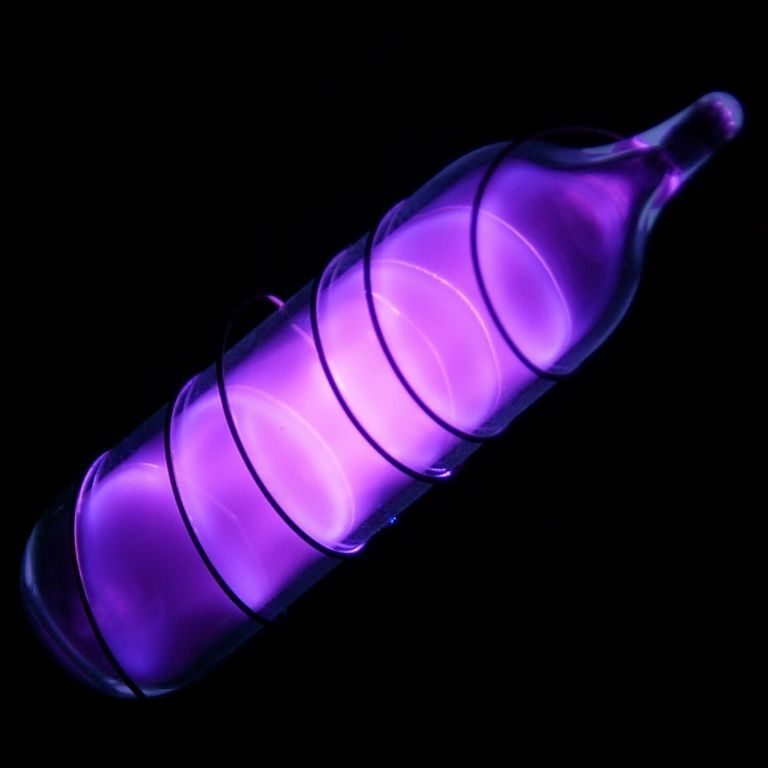 Ha - Hahnium (105) Proposed name for dubnium. Ha - Hahnium (108) Proposed name for hassium. Il - Illinium (61) Discredited claim to discovery of promethium. Jg - Jargonium (72) Discredited claim to discovery of hafnium. Jo - Joliotium (105) Proposed name for dubnium. Ku - Kurchatovium (104) Proposed name for rutherfordium. Lw - Lawrencium (103) Current symbol is Lr. M - Muriaticum (17) Former name of chlorine. Ma - Masurium (43) Disputed claim to discovery of technetium. Md - Mendelevium (97) Proposed name for berkelium. The symbol and name were later used for element 101. Me - Mendelevium (68) Suggested name for erbium. Ms - Masrium (49) Discredited claim of discovery of indium. Mt - Meitnium (91) Suggested name for protactinium. Mv - Mendelevium (101) Current symbol is Md. Ng - Norwegium (72) Discredited claim to discovery of hafnium. Ni - Niton (86) Former name for radon. No - Norium (72) Discredited claim to discovery of hafnium. Ns - Nielsbohrium (105) Proposed name for dubnium. Ns - Nielsbohrium (107) Proposed name for bohrium. Nt - Niton (86) Suggested name for radon. Ny - Neoytterbium (70) Former name of ytterbium. Od - Odinium (62) Suggested name for samarium. Pc - Policium (110) Proposed name for darmstadtium. Pe - Pelopium (41) Former name for niobium. Po - Potassium (19) Current symbol is K.
Rf - Rutherfordium (106) Proposed name for seaborgium. The symbol and name were instead used for element 104. Sa - Samarium (62) Current symbol is Sm. So - Sodium (11) Current symbol is Na. Sp - Spectrium (70) Suggested name for ytterbium. St - Antimony (51) Current symbol is Sb. Tn - Tungsten (74) Current symbol is W.
Tu - Thulium (69) Current symbol is Tm. Tu - Tungsten (74) Current symbol is W.
Ty - Tyrium (60) Suggested name for neodymium. Unb - Unnilbium (102) Temporary name given to nobelium until it was permanently named by IUPAC. Une - Unnilennium (109) Temporary name given to meitnerium until it was permanently named by IUPAC. Unh - Unnilhexium (106) Temporary name given to seaborgium until it was permanently named by IUPAC. Uno - Unniloctium (108) Temporary name given to hassium until it was permanently named by IUPAC. Unp - Unnilpentium (105) Temporary name given to dubnium until it was permanently named by IUPAC. Unq - Unnilquadium (104) Temporary name given to rutherfordium until it was permanently named by IUPAC. Uns - Unnilseptium (107) Temporary name given to bohrium until it was permanently named by IUPAC. Unt - Unniltrium (103) Temporary name given to lawrencium until it was permanently named by IUPAC. Unu - Unnilunium (101) Temporary name given to mendelevium until it was permanently named by IUPAC. Uub - Ununbium (112) Temporary name given to copernicium until it was permanently named by IUPAC. Uun - Ununnilium (110) Temporary name given to darmstadtium until it was permanently named by IUPAC. Uuu - Unununium (111) Temporary name given to roentgenium until it was permanently named by IUPAC. Vi - Virginium (87) Discredited claim to discovery of francium. Vm - Virginium (87) Discredited claim to discovery of francium. Yt - Yttrium (39) Current symbol is Y.
Placeholder names basically express the atomic number of an element. These names are replaced by official names once the IUPAC verifies the element discovery and approves a new name and element symbol.